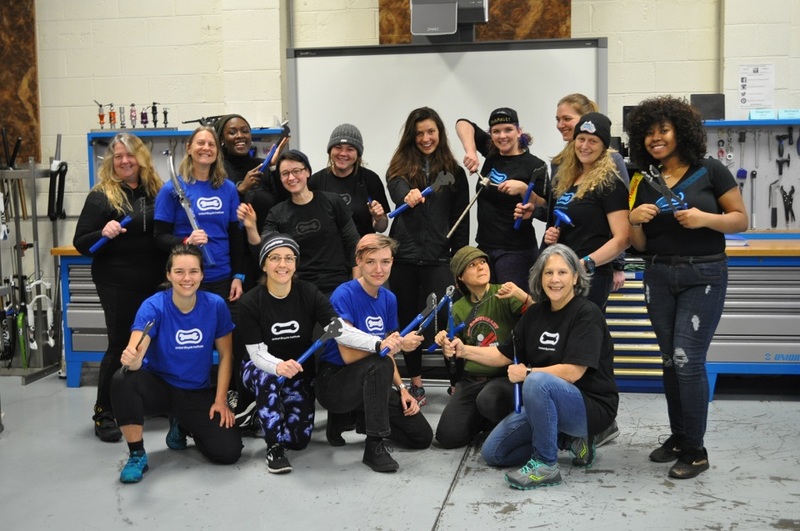 As a recipient of the 2019 Quality Bike Products Women’s Bike Mechanic Scholarship, I had the opportunity to attend the United Bicycle Institute two-week Professional Repair and Shop Operation class in Portland, Oregon, February 18th-29th. There I met 15 other WTFnB (Women, Trans, Femme, non-binary) bike industry professionals from across the United States. While our titles and shop environments are diverse—from “for-profit owner and mechanic” to “workforce development coordinator”; “mountain bike coach” to “bike cooperative educator”; “learn-to-ride instructor” to “recumbent trike program manager”—our desire to improve our mechanic skills and bring that knowledge back to the communities we serve was a common thread. My co-worker, Dave Barto aptly describes the course’s inner-workings in the March RBP newsletter; if you’re interested in learning more about the class, I recommend reading his blog post! For my part, while attending UBI, I was paying just as close attention to how the instructors were demonstrating a skill as to the lecture content. The classroom was stocked with models that exposed the inner-workings of derailleurs, handlebars mounted with diverse brake systems, deconstructed shocks, and examples of worn-out components. The course was laid out in a deliberate manner, with challenging systems where failure was likely (like in wheel building, taught on day two) followed by more familiar material that built upon previous successes (like overhauling bottom brackets after mastering hub adjustments). The instructors—armed with analogies that explained these systems in layman’s terms—were thoughtful in their teaching style: always standing behind the bikes and insisting that we get up close and personal with the components. I am excited to add these techniques to my informal, outdoor classroom and develop a lexicon that more readily relates to the diverse students engaged in the Major Taylor Program! In delivering effective youth programming, failure—a poorly patched tube, a third check on a quick release adjustment, a misaligned brake pad—is as much part and parcel of students’ experience as their successes. It’s my job as an educator to help students feel more comfortable with the failure experience, and to foster an environment where they can develop mechanical—and, more importantly, resilience and problem solving—skills at their own pace. On the flip side, as the person responsible for the maintenance of over 70 fleet bikes, any area where I can reduce the amount of time I spend on repairs and safety checks affords more time to develop better programming, engage with youth stakeholders, and further expand cycling education in Reno. I didn’t necessarily expect to develop procedural skillsets like implementing checklists, creating more organized storage spaces, and writing detailed repair notes while at UBI; but what I most often found myself brainstorming on my commute “home” was how I might employ more efficient systems to better manage my day-to-day shop procedures. But yes, all that hands-on practice, those derailleur and brake pad adjustment tips and tricks, and a newfound sense of confidence will only help to improve my efficiency, too! When not wrenching, we had the opportunity to live communally, in the Friendly Bike Guest House. This time outside of the classroom was where perhaps the most important exchanges were shared. 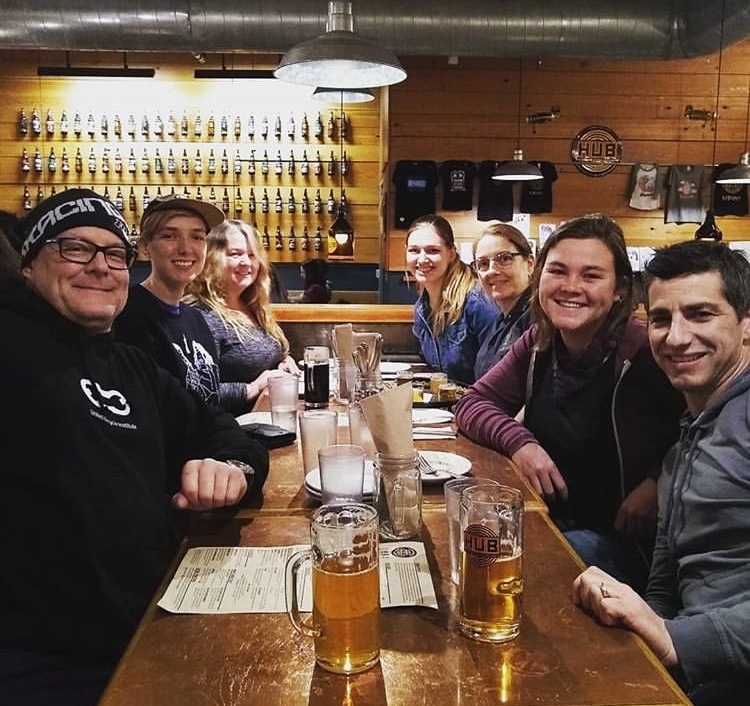 We celebrated program successes, troubleshot failures, discussed the winding paths that lead us to cycling, and lamented the frustrations of working in a cis-male-dominated field. We examined, too, our individual privileges and the ways our shop environments might cling to scaffoldings that obstruct users from groups historically under-served and ignored by the bike industry. We went on group rides, visited neighborhood bike shops, geeked out on gear, and shared our favorite post-ride snacks and beers. Then, after that final overhaul and one-hundred-question certification test, we shared dinner, danced the “Mexican Cha-Cha Slide” at the helm of Chicago native and fellow scholarship recipient, Miss Keke, and of course, created a Slack channel where we can continue to exchange ideas and resources. Taking a break from wrenching to ride in Mt. 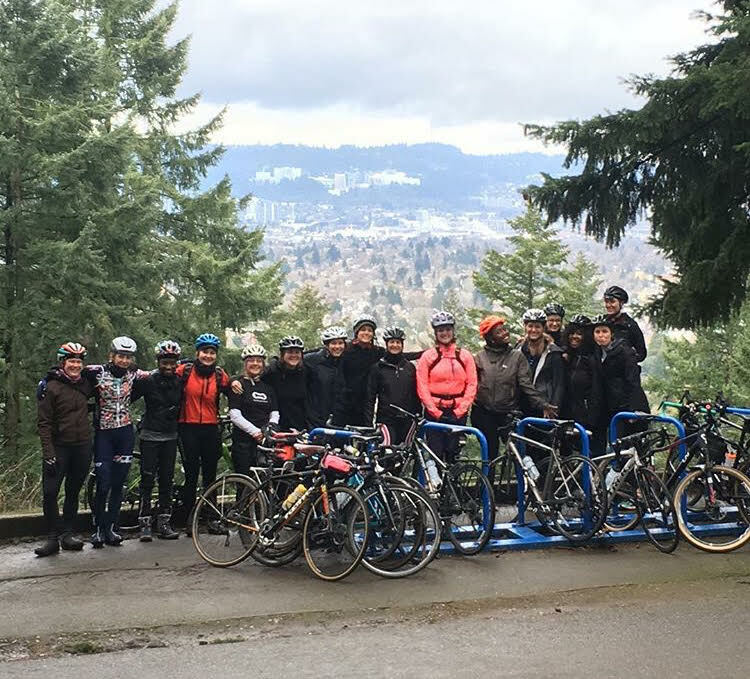 Tabor Park with past scholarship recipient Laura Solis, UBI instructor B Vivit, and folx from Sellwood Cycles. A huge THANK YOU to UBI owners Ron and Denise Sutphin for their vision; the scholarship sponsors in supporting professional development for WTFnB mechanics who are underrepresented in the industry; faculty Stephen Glass, Richard Belson, B Vivit, and Jeff Menown for their instruction, expertise, and patience; RBP Program Director, Genevieve Parker, for covering my MTP classes; Reno Bike Project for paid time to attend this training; and to my 15 classmates for sharing their strength, stories, and the workbench! Each year, The QBP Women’s Bike Mechanic Scholarship supports 32 WTFnB mechanics with professional development training through hands-on learning, component-by-component study, and formal lecture at United Bicycle Institute in Ashland and Portland, OR. If you or someone you know is interested in applying, keep an eye out for the application in early October 2019!